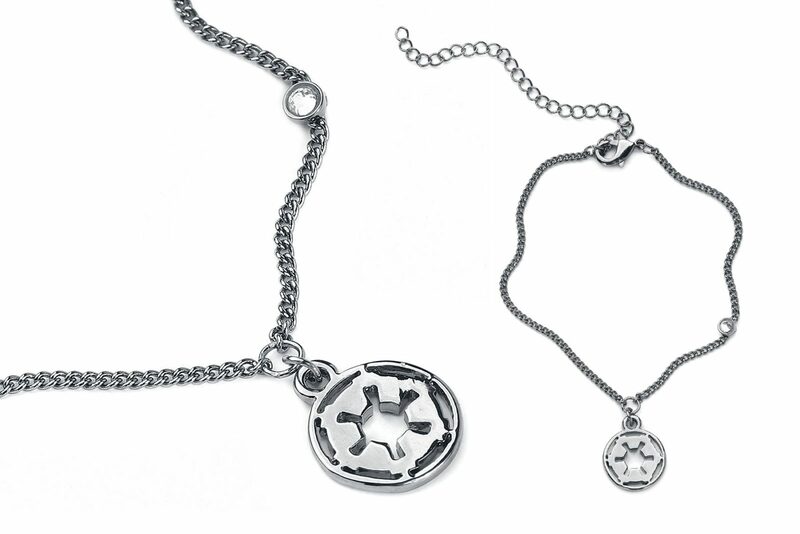 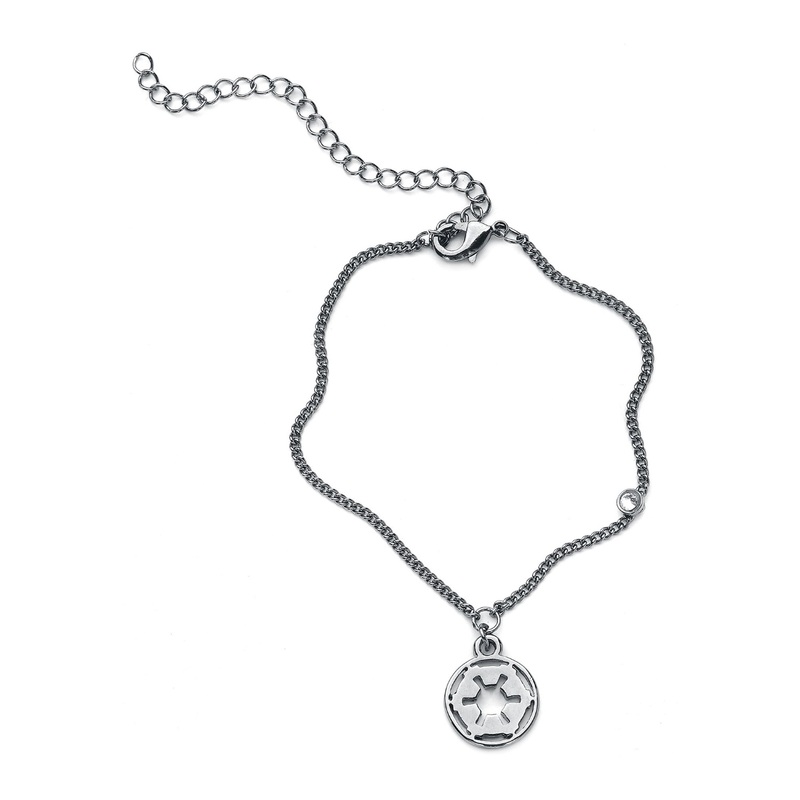 This Star Wars Galactic Empire Symbol bracelet is available at EMP Online. 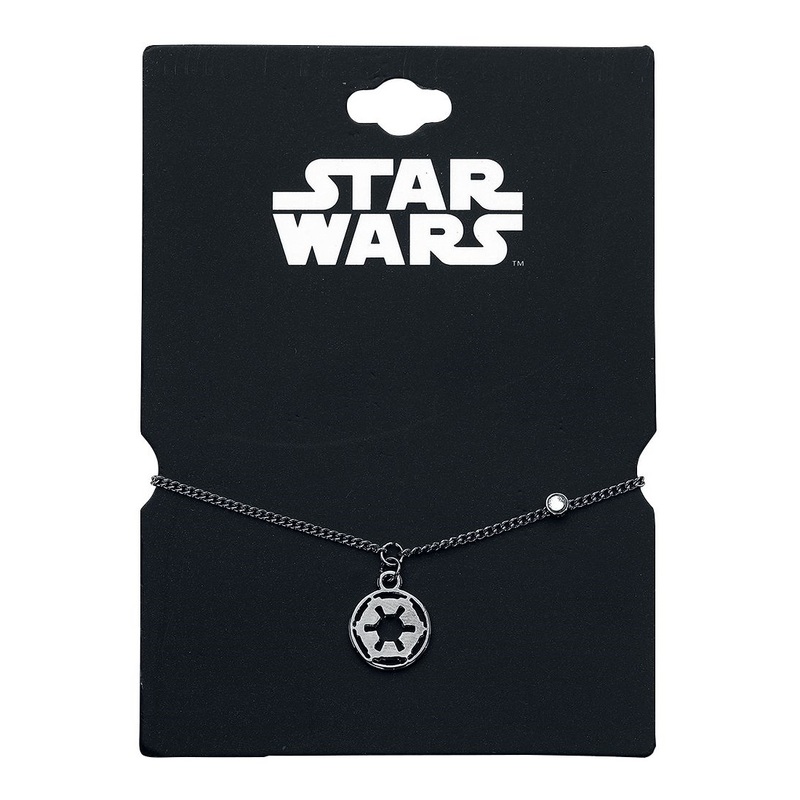 The dark-toned chain bracelet features a cut-out Galactic Empire ‘cog’ symbol charm, and a small clear rhinestone gem accent on the chain. 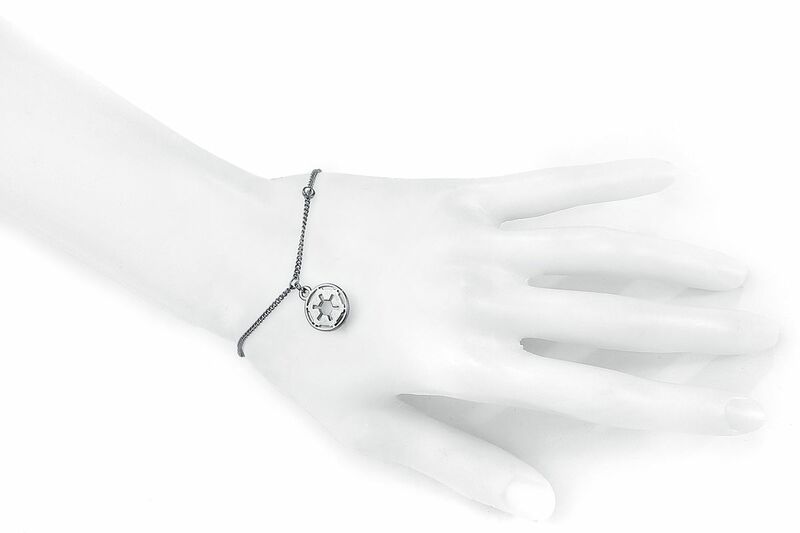 The bracelet is adjustable, with a lobster claw-style clasp and length of wider adjustment chain (length approximately 15.5cm to 22cm).